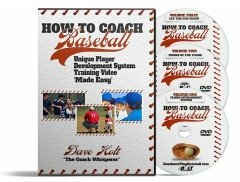 It is a fact in youth baseball that only 1 in 5 coaches receives any formal baseball coaches training. I’m sure my readers are the exception or one of the 20% er’s. 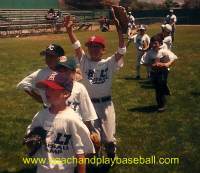 The lack of quality coaches training is really a hindrance to baseball player development here in America. We continue to circulate generation after generation of youth coaches over and over with the same mantra: ‘winning-at-all-costs’. Why? Because this system is the only one any of the adults in youth baseball knows anything about, so everyone basically copies each other. Blind leading the Blind. Few if any mentors have ever been given the opportunity to explain to coaches what a real player development system should look like. We only know what we know. What do we get? Poorly planned, boring practices or no practice at all. Often, most coaches provide poor game management or likely just yelling at the players across the field. Rarely do we develop hitters because we would rather our kids get a walk. We stifle most of the aggressiveness out of our kids and keep most of them in a state of constant fear of making mistakes or swinging at a bad pitch. And yes parents—you are the problem. 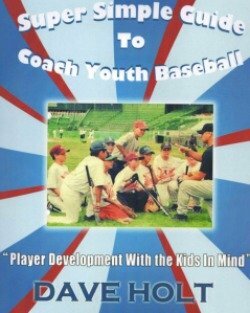 SIDE NOTE Coaches: If you do not have the opportunity to attend a player development minded baseball clinic in your area please look at the options and info available here and pick up a copy of the Matheny Manifesto right away and share it around.